Advertise on the digital edition of Compoundings magazine and soak up the benefits of reaching professionals in the lubricants industry and tracking your ROI. and key executives of member companies, industry press and industry association personnel. 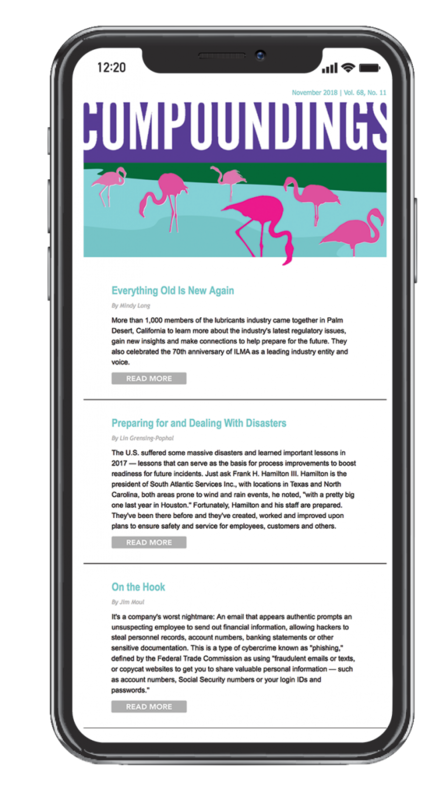 The Compoundings Digital Edition Email Sponsorship is great way to reach decision makers in the lubricant industry and track your ROI! 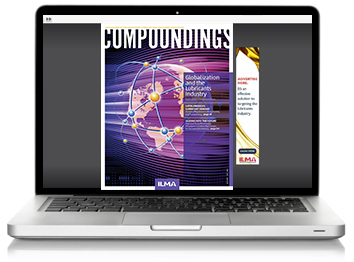 The email alerts readers not to miss out on the latest digital edition of Compoundings magazine, covering trends in the lubricants industry, market reports, international business insights, legislative and regulatory updates, an industry calendar of events and more, as well as what’s going on with ILMA and ILMA members.